​(Columbia Legacy) 12 tracks - The original 1974 album on CD! 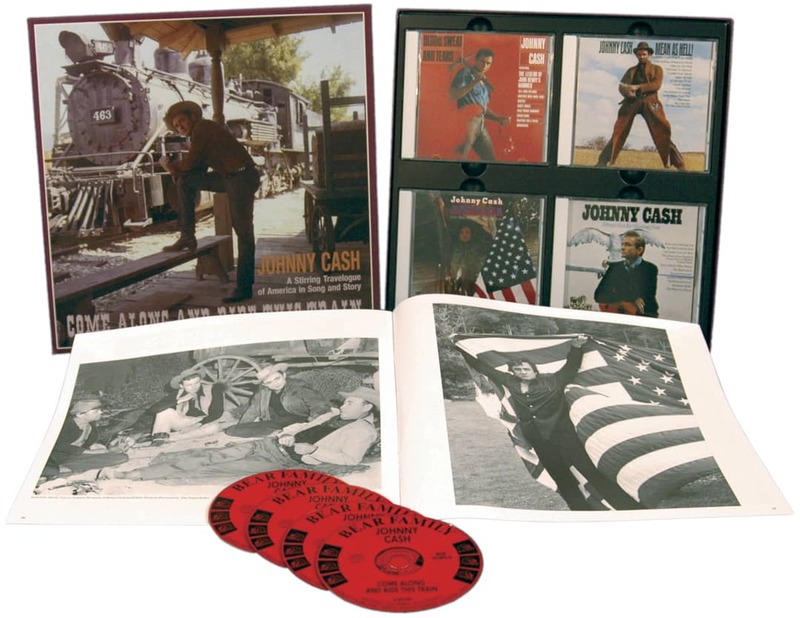 Over the years Johnny Cash's Sun recordings have been released on countless compilations and there is no doubt that the releases on Bear Family have been the definite record of his short career with the label. With this new collection we can listen to those outtakes along with a wealth of previously unreleased alternate takes, undubbed masters, false starts and studio chat that give the listener an insight into the creative process behind those legendary recordings. Unfortunately many of the original session tapes have been lost or recorded over and there are many songs for which we were unable to locate any outtakes, but a handful have survived the passage of time and it is from those tapes that this set has been put together. During the compilation of this set we have tried to offer the material in chronological order. However, Sam Phillips did not keep records of take numbers and dates so we have used the excellent research undertaken by Colin Escott and Martin Hawkins along with our own additional research. As you sit and listen to these CDs you can imagine that you are there in the studio with Johnny Cash, Luther Perkins and Marshall Grant as they recorded these classic tracks over fifty years ago. Following his discharge from the Air Force in July 1954 Johnny Cash married, moved to Memphis and found a job selling electrical appliances. He was not the greatest salesman and with their first child on the way there was a need to find another job with a better income. He tried to get a job as a radio announcer but was turned down due to his lack of experience. Cash finally enrolled at Keegan School of Broadcasting in Memphis. In 1954 Cash's brother Roy was working at Automotive Sales Garage on Union Avenue in Memphis. There were two mechanics also working at the garage - Luther Perkins and Marshall Grant. In their spare time and during quiet spells at the garage they would play music together. Knowing his brother's love of music and desire to make it in the music business, Roy introduced them to him. Luther Perkins was born in Memphis and Marshall Grant in Flatts, North Carolina. The first time they worked with Cash was at Luther's home on Nathan Street in Memphis. One of the songs they would try was Hank Snow's I'm Moving On. They all played acoustic guitars and hit it off resulting in more informal sessions, although at this point neither Luther nor Marshall were interested in pursuing a musical career. Unhappy with his job as an appliance salesman and determined to make it in the music business, Cash suggested they try different instruments. Luther borrowed an electric guitar and Marshall a stand-up bass, although nobody was sure how to tune it. They were all self-taught musicians and started to play more seriously. There was a fourth member, steel guitar player A. W. 'Red' Kernodle, who would record just once with Cash but was so nervous that he would leave the studio, never to return! He has been quoted as saying, "There was no money in it and there was too much staying up late at night and running around." They were sponsored by Cash's boss to play a 15 minute spot on country station KWEM in West Memphis, Arkansas on Saturdays. They had played together for many hours and were progressing well and the next logical step was to make a record. In Memphis at that time there was only one place to go, Sun Records and producer Sam Phillips. In late-1954 Cash went to the Sun Studios on his own to audition for Sam. Three songs from this audition appear here. Wide Open Road, You're My Baby and My Treasure, all Cash originals, impressed Sam enough to invite him back with his band. There was another song recorded, Show Me The Green, but regrettably this tape has never been located. Cash returned with Luther and Marshall for a formal audition. At the audition Cash sang I Was There When It Happened, Belshazzar and I Don't Hurt Anymore, mainly gospel material. Sam, was impressed with Cash's voice and also the limited guitar style of Luther Perkins. Unfortunately he had no interest in recording religious material and told Cash that he would be unable to market him as a religious artist and to go away and write something different. Cash went away and reworked a poem he had written during his time in the Air Force and went back to Sun Records with Hey Porter. With its train rhythm, simple melody and strong lyrics it was an impressive debut. 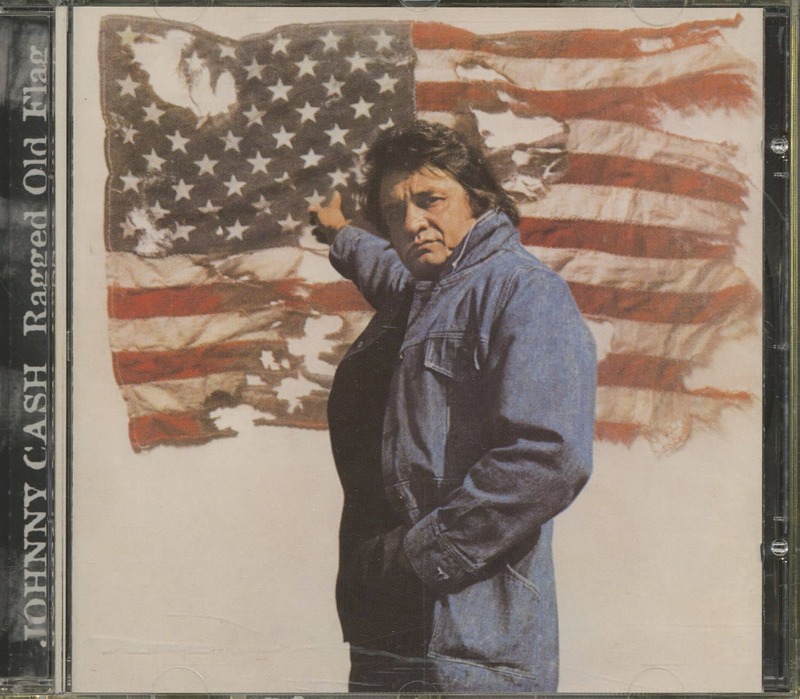 During a 1980 radio special Cash spoke about the recording: "I did a song I wrote called 'Hey Porter' that I had written on the way home from Germany when I was discharged from the Air Force. And it was kind of a daydreamin' kind of thing. I used a train as a vehicle in my mind to take me back home and counting off the miles and the hours and minutes till I would get back home. It wasn't to Tennessee though, it was to Dyess, Arkansas where my parents were still living at the time." The version included here is an early take and is noticeable when Luther falters during the second instrumental break. This session also produced an early version of Folsom Prison Blues, another attempt at Wide Open Road and Two Timin' Woman. The four takes of Folsom Prison Blues included on this set are completely different to the released version. Here Cash uses a high-pitched vocal style completely different to anything else he ever recorded. Whilst Cash may not have perfected his style on the song Luther most definitely had and his guitar solo changed little over the years to come. It is interesting to note that these versions do not feature the famous guitar introduction or closing notes that became the songs trademark. Cash would go on to re-record the song a few weeks later. Wide Open Road is the only known take to feature the steel guitar playing of A. W. 'Red' Kernodle and gives us a clue to how they would have sounded had he remained a member of the group. It has to be said that he was not the greatest steel guitar player and his decision to leave was ultimately a benefit to the Cash sound as he recalled in a 1980 interview. "We had a steel guitar player working with us, but he was afraid to go in the recording studio and I guess maybe it was lucky for us that he didn't because The Tennessee Two came up with a sound that was kinda unique. I think a steel guitar would've taken us more toward Nashville than what was happening up there." Despite being vocally sound Two Timin' Woman suffers from an out of tune acoustic guitar and one of Luther's more forgettable solos. Cash suggested a gospel song for the other side of their first single, most likely I Was There When It Happened. Sam liked the song but wanted something different for the b-side of their first single and suggested that Cash should go away and come up with something more suitable. A few days later he came up with Cry Cry Cry which he wrote after hearing DJ Eddie Hill announce "stay tuned, we're gonna bawl, squall and run up the wall." He adapted the lyrics to "You're gonna bawl, bawl, bawl" but reconsidered and came up with "You're gonna cry, cry, cry." A few weeks later, an exact date is unknown but May is the most likely date, they returned with their new composition which, along with Hey Porter, became the first single to be credited to Johnny Cash and the Tennessee Two and a top twenty country hit. The master of Cry Cry Cry featured an instrumental break after the second and fourth verse but here we present the rare 'extended' version with Luther playing a break after every verse. 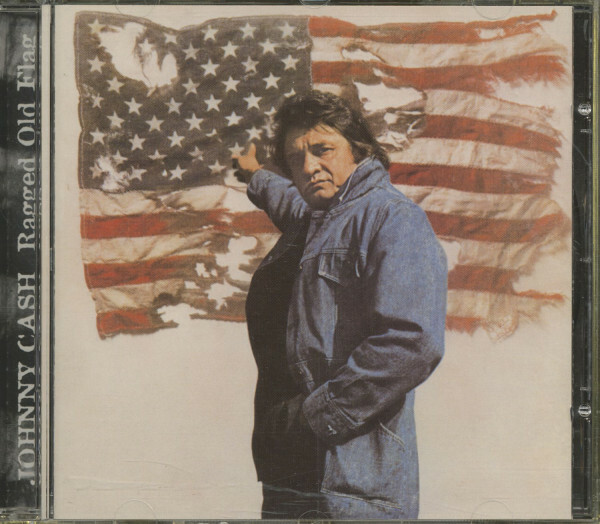 It was only issued, probably by mistake, on a budget album simply titled Johnny Cash. Rock And Roll Ruby is the only track featured that was not taped at Sun Studios. Recorded at KWEM Radio it was preserved on an acetate and demonstrates that Cash was not really suited to rock 'n' roll although it is far more confident performance than You're My Baby. Back in 1954 they had appeared on KWEM on a programme entitled 'Mid-South Country Frolics' and performed Wide Open Road, One More Ride, Luther's Boogie and Belshazzar, all tracks that he would go on to record for Sun. Johnny Cash and The Tennessee Two spent the rest of 1955 on the road and in January 1956 they landed a regular spot on the Louisiana Hayride. With both Hey Porter and Folsom Prison Blues achieving respectable chart positions they were a hot property on the concert circuit and were booked for dates across the southern states. In late 1956 Cash scored his first pop hit with a track that would become the closing number at most of his concerts in the eighties and nineties. I Walk The Line, recorded in April 1956, was a beautiful adult 'pledge of love' and there is no doubt that it has become Cash's most famous song. To create the snare drum effect Cash put some paper between the strings of his guitar which, along with Luther's runs up and down the bass string, gave the song an hypnotic beat. The song needed no other embellishments as Sam Phillips pointed out years later, "Can you hear 'I Walk The Line' with a steel guitar!" The alternate version is very close to the master with just a slight lyrical change. There were rumours that alternate takes existed of the song performed at differing tempos. A study of the remaining tapes reveals that this was not the case. Cash recalled how the song came about in a 1980 interview. "While I was in the Air Force I had a Wilcox-Gay tape recorder. I was working the five-to-eleven shift one night, and I came in right after eleven and saw that someone had been fooling with my recorder, so I rewound it and punched the play button. Here was one of the strangest sounds I'd ever heard. At the beginning it sounded like someone saying 'Father.' It drove me crazy for about a year. I asked everybody I knew if they had fooled around with my tape recorder. I finally found out who did it. He put the tape on upside down and backward. All he was doing was strumming chords on the guitar, and at the end he said, 'Turn it off,' which sounds like 'Father' when it's backward. I never got that chord progression out of my mind." During a tour with Carl Perkins he was fooling around with the chords and Perkins asked him what he was doing and said that Sam was always looking for something different and suggested he write a song using that chord progression. "We got to talking about our wives and guys running around on the road and so forth. I had a brand new baby and I said, 'Not me, buddy. I walk the line.' Carl said, 'There's your song title.'" Apparently Cash wrote the song that night in about fifteen to twenty minutes. Recorded at the same session was Jimmie Rodgers' Brakeman's Blues. It is an ideal song well suited to Cash's style but for some reason, following this short false start and incomplete take where it breaks down on the instrumental break, they did not continue to work on the track. 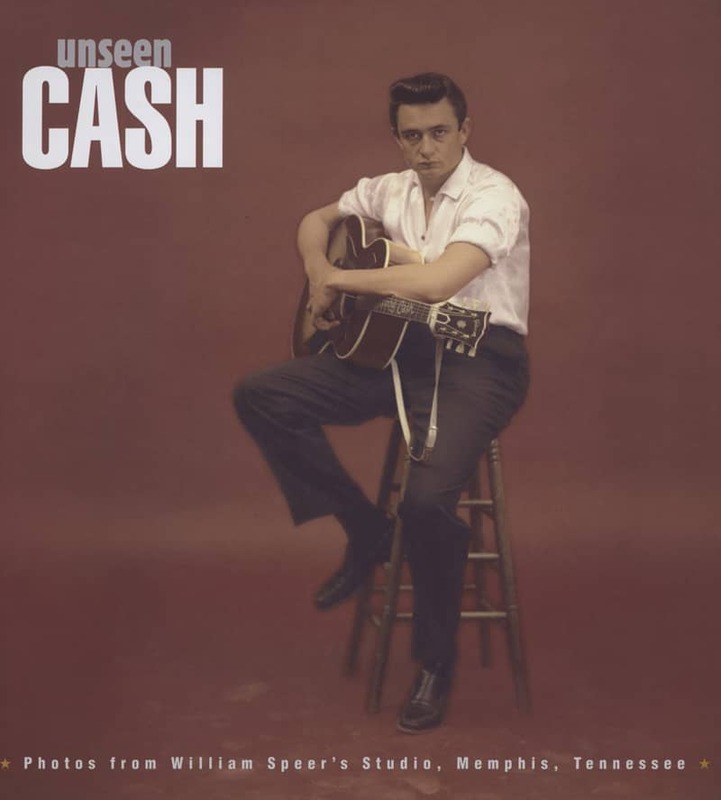 It has often been said that Cash wrote Get Rhythm with Elvis Presley in mind and although Elvis would have made a good job of the song it would have been a shame if Cash hadn't recorded his own version, as it is one of his greatest performances. It is one of the few songs where Cash starts a song vocally rather than Luther playing a lead-in. We hear four versions with the first two sounding very similar although there are subtle differences, mainly in the backing and there is a slight lyrical change with Cash singing "He stopped just once to wipe the sweat away" instead of "He stopped once to wipe the sweat away." The Tennessee Two are barely audible on the next take with just Cash and his acoustic guitar up front on the recording. This is more than likely a microphone test and was never intended for release. The final take has a very energetic performance from Cash but is let down by Luther's guitar solo on which he appears to hesitate on some notes. On Train Of Love we find him following the theme first explored on Hey Porter and one that he would cover many times on singles and albums throughout his career. Of the two alternates featured here, the first is similar to the released take but it is the second that stands out. Taken at a slightly faster tempo there are noticeable differences in Luther's playing. He opens and closes the song with a totally different guitar figure and it leaves you wondering whose decision it was to abandon this style for the simpler work that featured on the released version. With their popularity spreading most of their time was spent out on the road and it was hard to find time to go back to Memphis and record any new material. Between June 1956 and April 1957 they only managed two sessions and these only produced a couple of tracks. One More Ride, like Brakeman's Blues, is another incomplete take that falls apart. It is a mystery as to why they gave up on what would have been another song suited to Cash's style. It was the only song recorded at this session in October 1956. Fortunately Cash did return to the song during his early sessions for Columbia. The Leon Payne composition I Love You Because had been recorded by Elvis Presley and Jerry Lee Lewis and it seemed inevitable that Cash would also turn his attention to the song. Like the previous session this only resulted in one song being recorded. 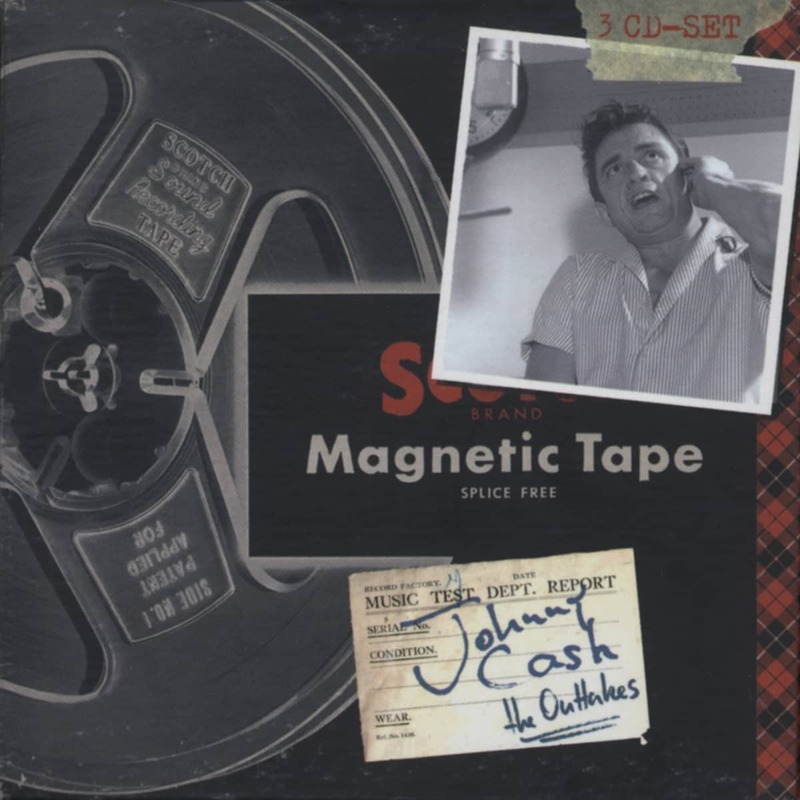 On its release it was subjected to an overdubbed chorus that added nothing to the track and is possibly the worst overdub of any of Cash's recordings from this period. On this undubbed master you can hear more clearly the piano work which is credited to Jerry Lee Lewis although this cannot be confirmed. There are not many tapes left intact that contained every take of a particular song but this is the case with Don't Make Me Go, recorded in April 1957 and issued as a single later that month. It is interesting to note that none of these eleven outtakes are like the released version, which featured some simple acoustic guitar work and a second guitar playing single note runs. Jimmy Van Eaton was also on hand and appears on some of these outtakes although they were destined to remain in the vaults. There are a number of false starts and incomplete versions which seem to prove that this was not an easy song for them to put down on tape. On July 1, 1957 Cash was back in the studio and recorded two songs that would make up the next single. 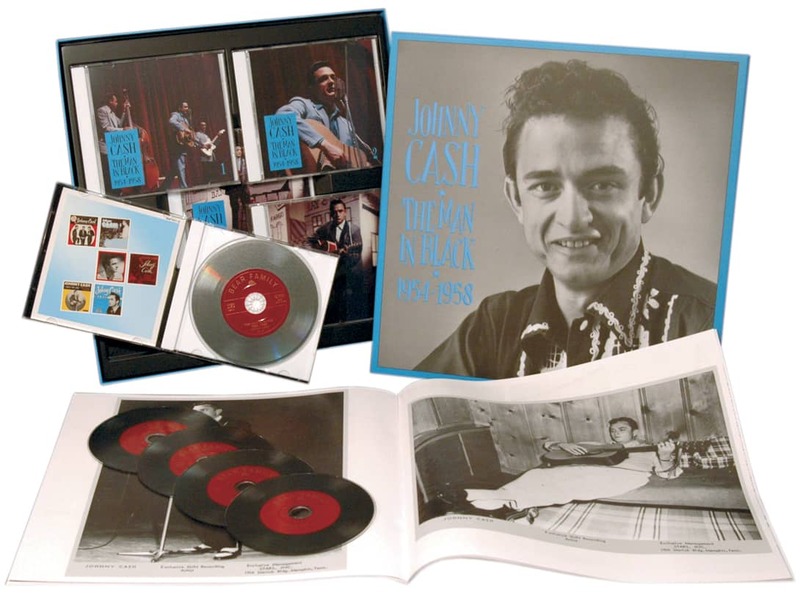 Home Of The Blues was inspired by Cash's favourite Memphis record store and it was the first time he wasn't the sole writer of his material. Luther opens the song with a guitar intro that goes from one end of the scale to the other. There is a short false start where Perkins misses a note and is followed by the undubbed master. 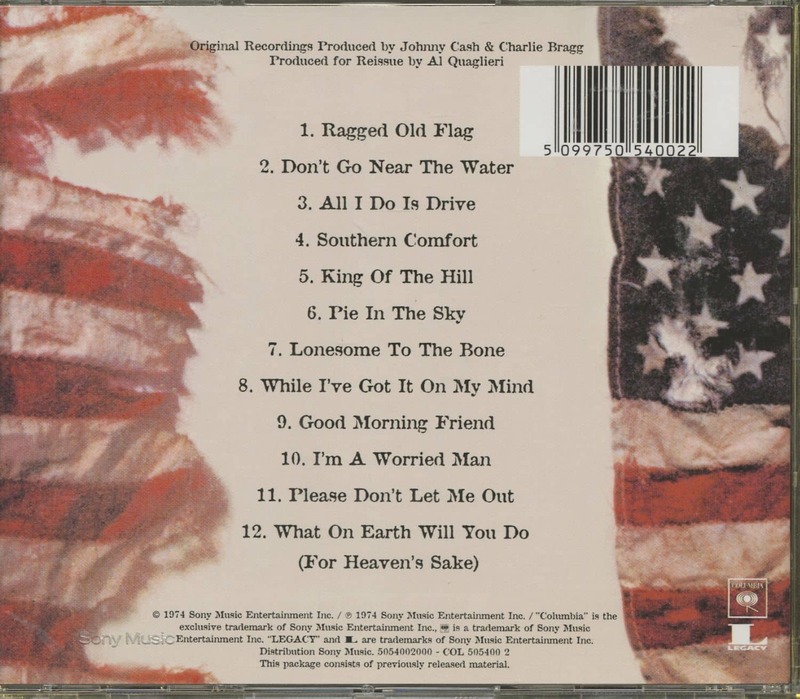 Customer evaluation for "Ragged Old Flag (CD)"